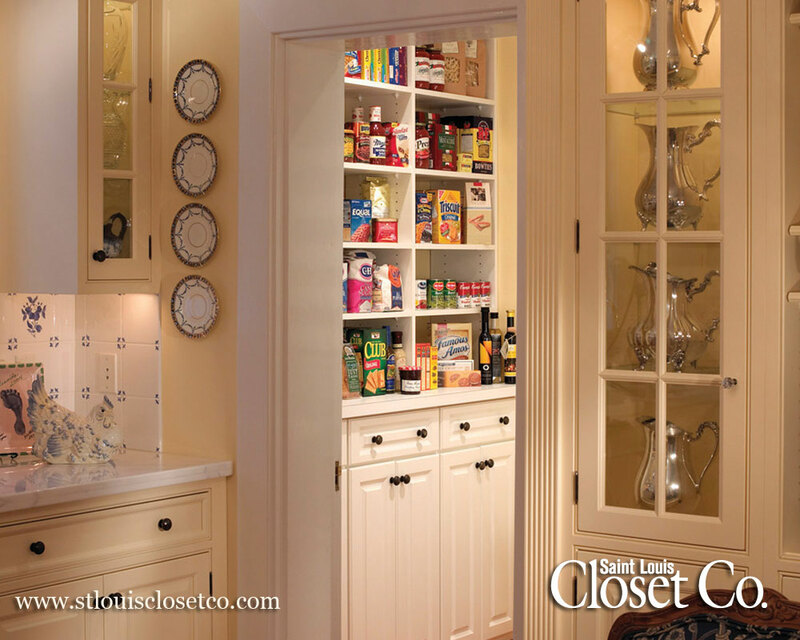 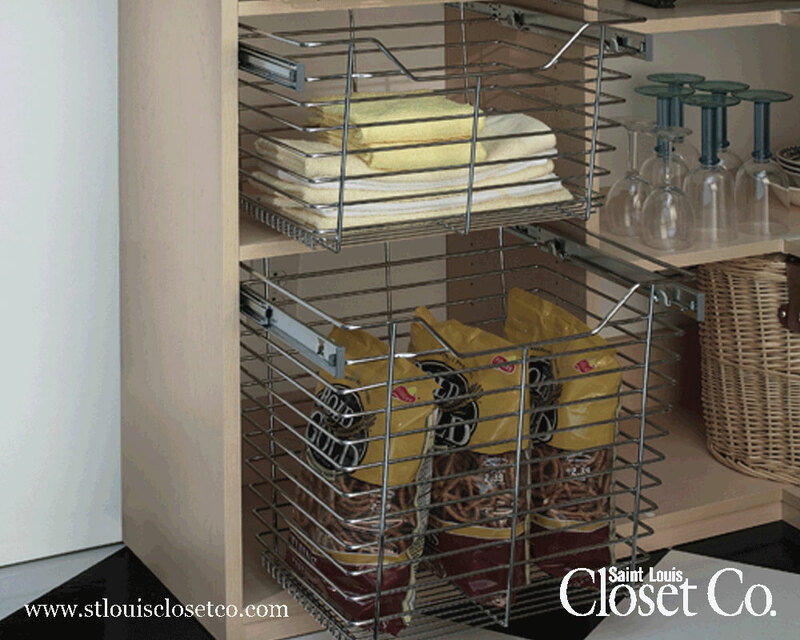 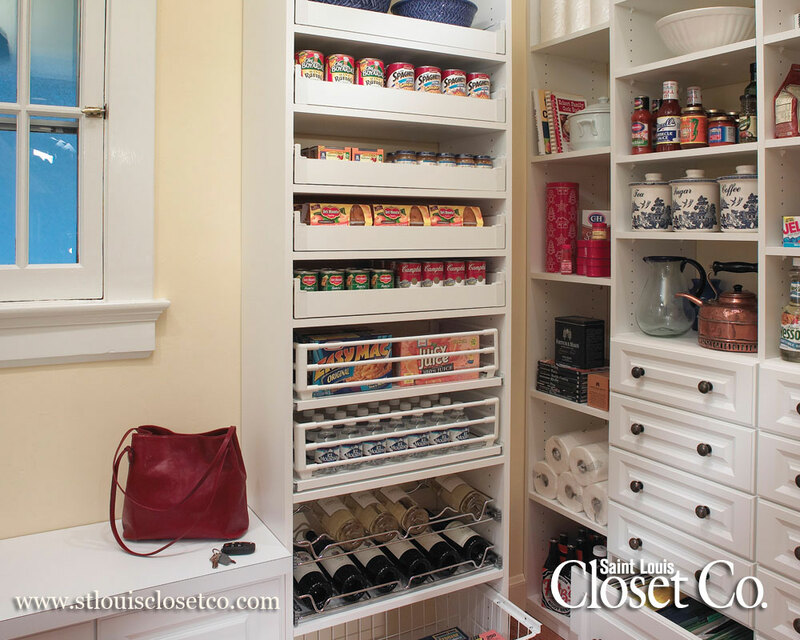 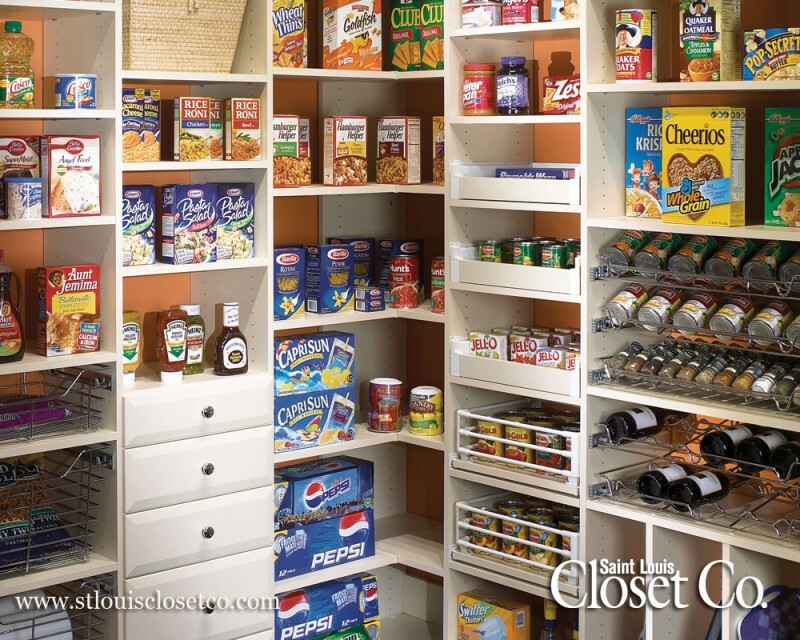 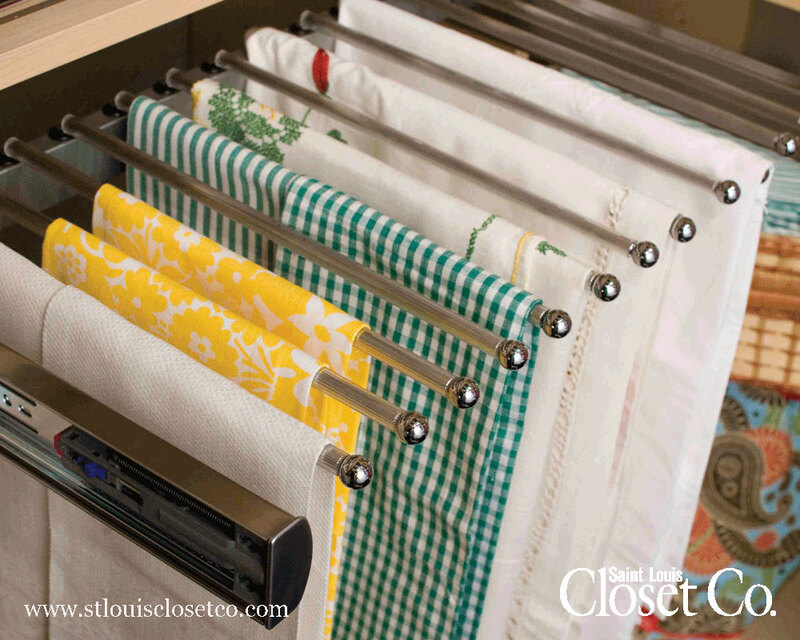 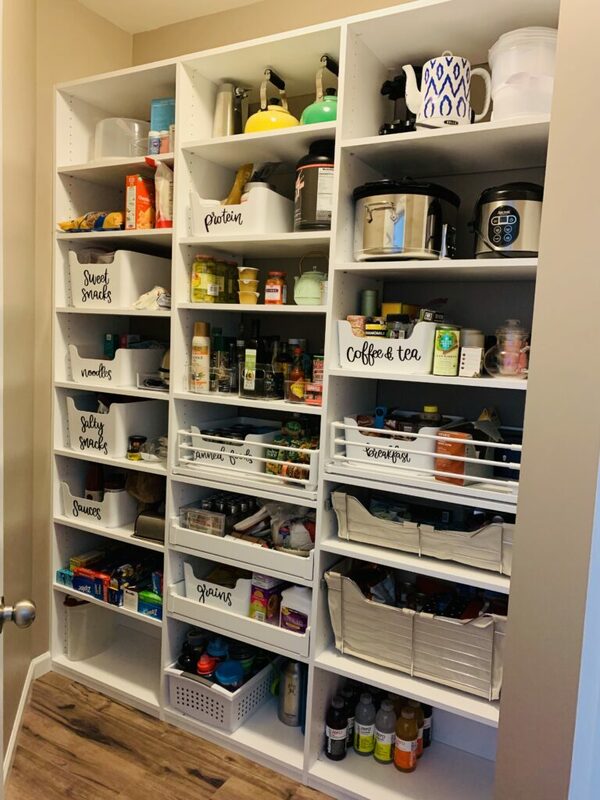 New Spaces | Pantry | Closet Design | Saint Louis Closet Co.
Keep all of your dry and canned goods organized and easily accessible with a 100% custom pantry from St. Louis Closet Co.! 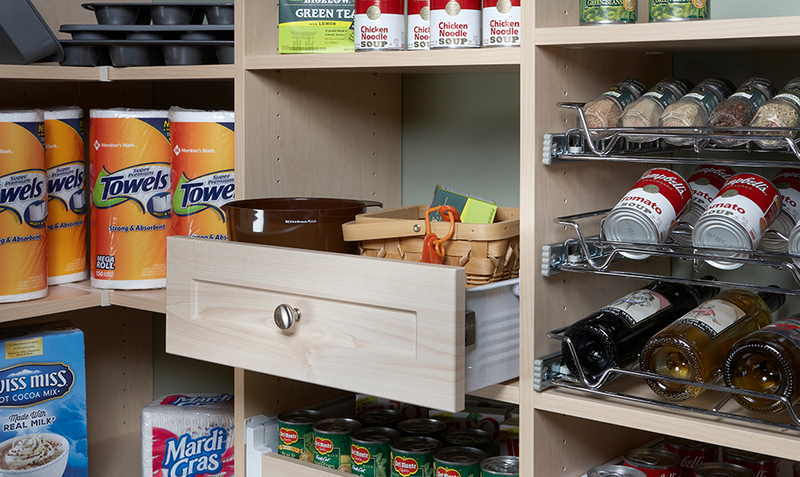 Keep your kitchen clutter to a minimum and maximize the space in your pantry. 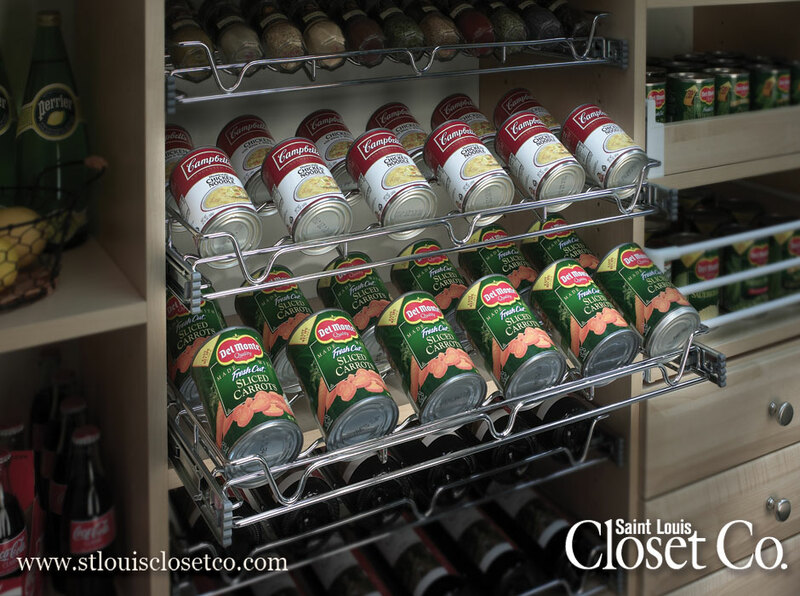 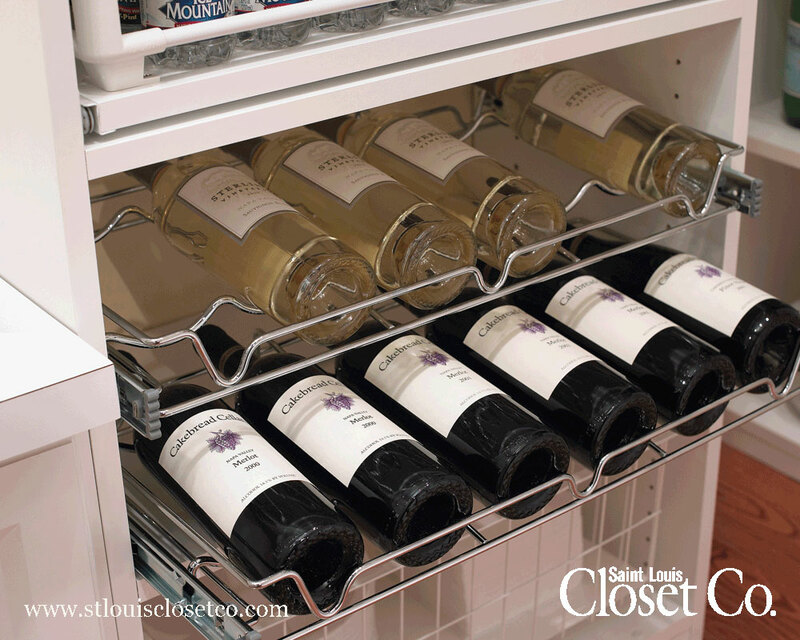 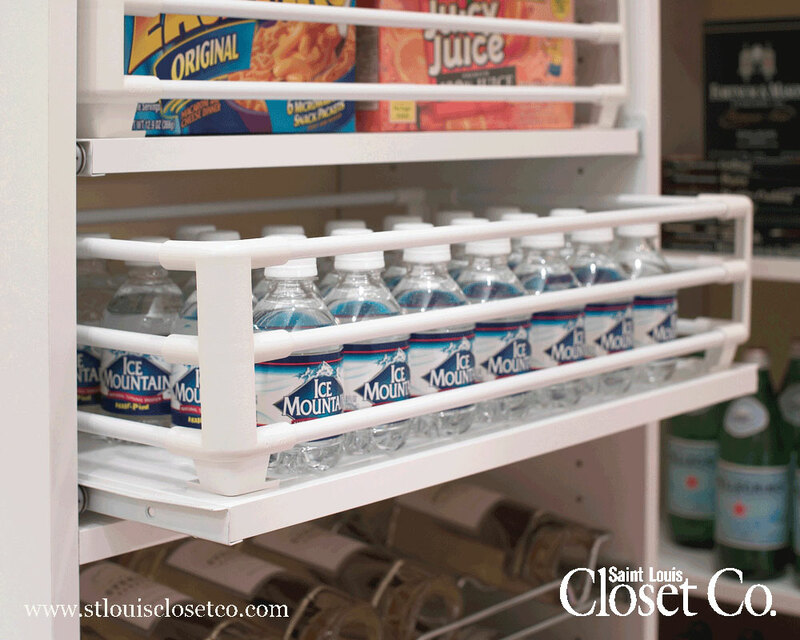 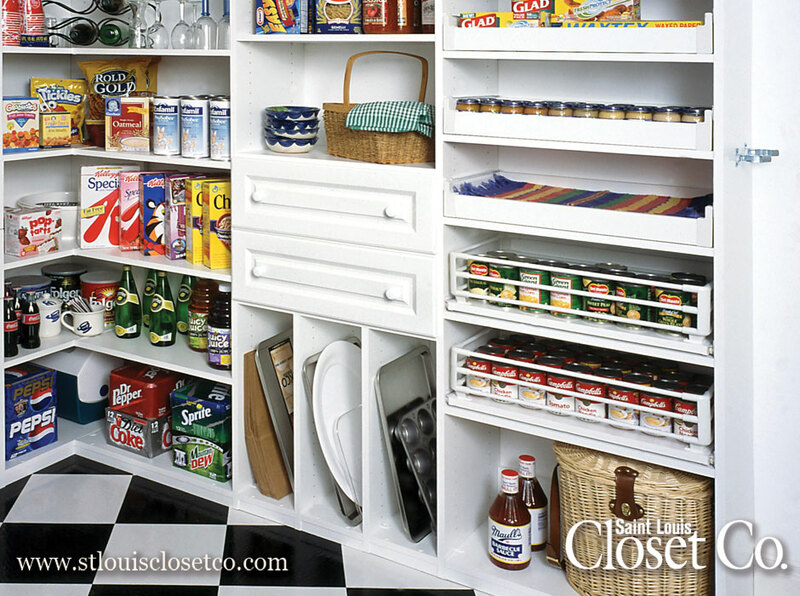 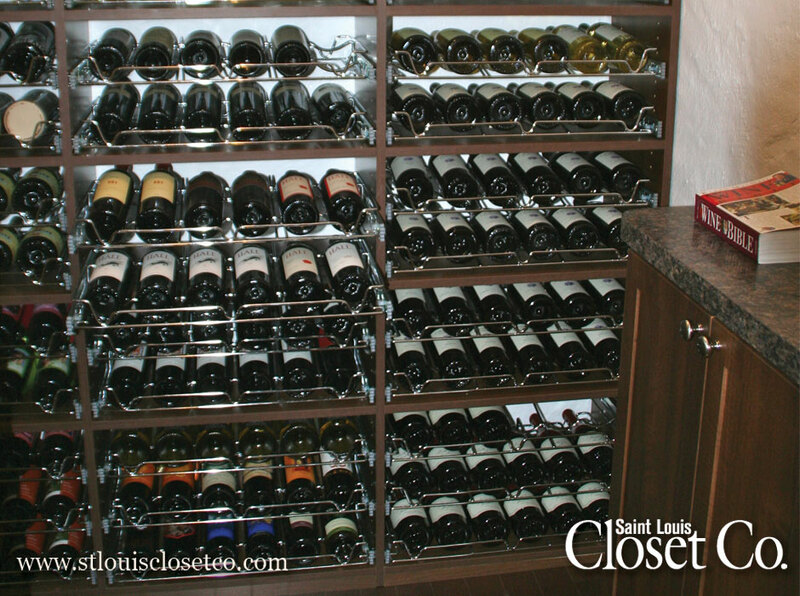 Saint Louis Closet Co. can make your pantry as custom and functional as you like, with everything from corner shelves to pull-out racks and drawers. 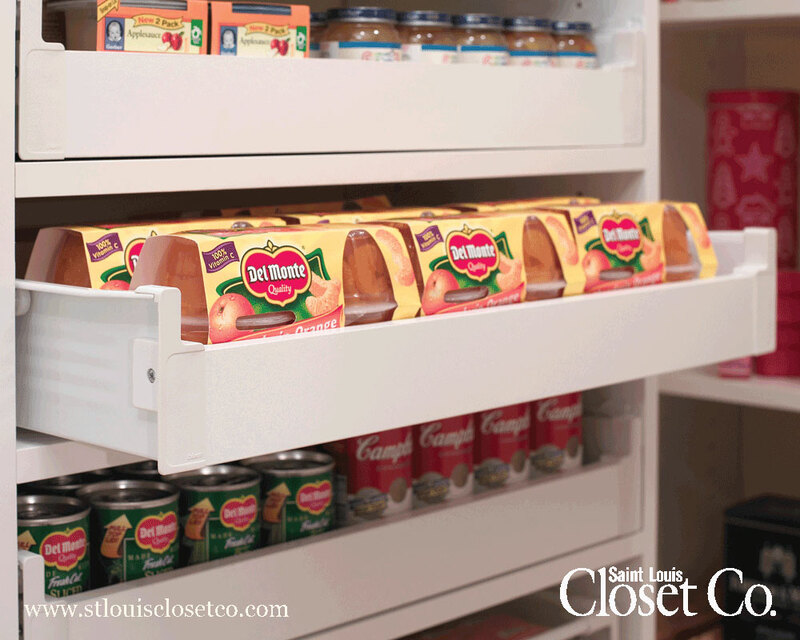 Adjustable thermo-fused laminate (TFL) shelving from Saint Louis Closet Co. will eliminate the limitations that come with fixed height shelves and will allow you to utilize the pantry space to its maximum.